In misty tropical jungles 1500 years ago, at the height of Mayan civilization, a royal girl with visionary powers was destined to become the ruler of Palenque. 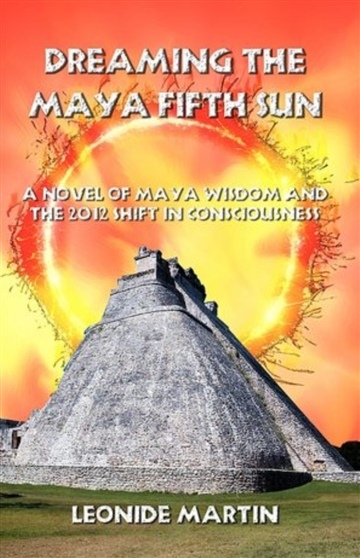 The Mayan calendar molded her life. It decreed when she would ascend Mayan pyramids and become the first woman to rule in her own right. Last of her lineage, her accession would fulfill her father’s ambitions. Powerful forces were allied against them to overthrow the dynasty. Her father trained her intensely in Mayan calendars, history and politics and cultivated support among nobles, while his cousins plotted with enemy cities to attack Palenque (Lakam Ha). Yohl Ik’nal (Heart of North Wind) put aside her personal desires and the comfortable world of palace women to meet challenges as royal heir. Love for her father steeled her will and sharpened her skills. Overcoming fear, she performed Mayan sacrifice as required of rulers. Her visionary powers enabled her to identify political opponents and predict enemy attack. The first Queen of Lakam Ha, she built temples to honor her father and her Gods. She protected her city and brought prosperity to her people. But she foresaw a time of darkness and devastation coming, predicted through Mayan calendars. Could she trust her vision to reveal the will of the Triad Gods? Would her choices cause ruin or bring her city to greatness? The story of this remarkable woman lay buried for centuries under crumbling Mayan ruins. She was one of the most powerful women in the Americas, but few have heard of her. Her accession carved a new glyph in Mayan history, preserving her dynasty and propelling it to heights of power and creativity. She was the grandmother of K’inich Janaab Pakal, the most famous Mayan ruler. In 1952 his royal tomb was excavated, the richest Mayan burial found and the equivalent of Egypt’s King Tut. In the midst of betrayal and revenge, through court intrigues and regional power struggles, she confronted personal crises and found a love relationship that sustained her. 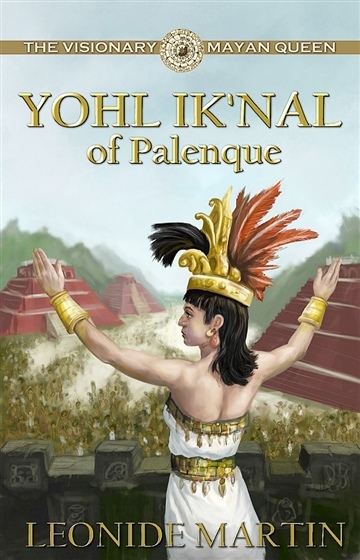 Enter the world of the ancient Mayans in this extensively researched historical novel that brings Yohl Ik’nal and her people vibrantly to life. In The Visionary Mayan Queen by Leonide Martin we are presented with a story that is fully imagined yet as real as the ancient past that if gives voice to once again. In reading it, we find that the historical fact of the world's societies makes them not so different from the ideas and struggles we see playing out all around us today. The title seems to this reader to be a perfect introduction to the character(s) and setting of the book, something to put us on the right track. The overall design of the book is appealing with a striking cover image for the book that gets the reader in the right thematic and tonal frame of mind for the story that comes. The characters here are fully realized, vivid and alive, and often do surprising things and/or do/say things that are very human, which can be rare. The chapters are nicely paced, with enough meat to make them satisfying but not so ponderous as to make it difficult to keep track of the narrative as it develops. I like especially the way the novel weaves fact with speculation without ever seeming heavy handed. The reader is able to understand the truth of these people's lives and struggles while also welcomed in to a conception of the world that is bigger than anything they might have expected or experienced before.